BENDMAK, which has made quite a name for itself with high quality productions of metal bending machines in a relatively short time, was founded in Bursa in 2008. BENDMAK, establishing a factory among the word’s leading brands in Akçalar Industrial Zone, has won the trust of their customers with the machines proving it success not only in Turkey but also all across the world. BENDMAK, together with its staff of 225 employees consisting of highlyskilled engineers, masters, workers and management, all of whom are specialist in their field, and in 30000m2 enclosed production plant of cutting edge techonology, produces machines providing high-quality Source Solutions by scrupulously producing cylinders, profiles and pipe-bending machines. BENDMAK is going full steam ahead to meet the world’s standards in the production, development, marketing and service of mechanical and special purpose machinery and to be a prominent trademark by making the necessary investment in its infrastructure. 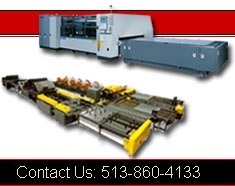 BENDMAK, developing economic machines without sacrificing quality by harmonizing its production experience with innovations, thereby saving both time and money, has become a perfect business partner for its customers. BENDMAK displays in its every production that it deserves the trust it won by producing the needed machines scrupulously and optimally fast understanding the demands of its costumers correctly. In arccordance with CE norms. 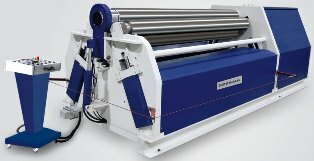 Contact us about powered rolls made by Akyapak.